In the end, it’s all about QUALITY. About commitment to legal excellence, outstanding client service, and ability to develop forward-thinking legal solutions. We bring industry expertise, strategic approach, teamwork and value to the table. We are CDZ Legal Advisors. At a worldwide level, as part of INTERLAW, we assist our clients on cross-border matters by working in integrated teams with lawyers from top firms in major jurisdictions in EMEA, the Americas and Asia. We have significant experience in leading and participating in integrated multi-disciplinary teams to provide seamless client advice. 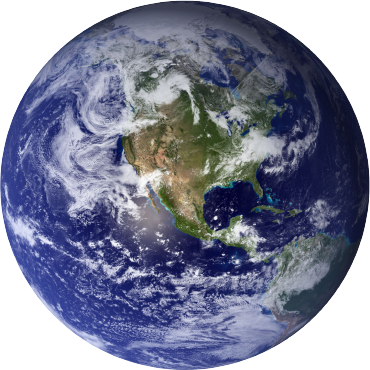 Our international expertise is strengthened by working closely with Transatlantic Law International (TALI), a dynamic global business law platform providing support on cross-border projects in 95 countries. Andrzej has over 20 years’ experience in transactional work, principally in venture capital, M&A and privatization transactions. He specializes in corporate law, commercial law, telecoms law and private equity transactions. He prepares and supervises international issuances of securities. He advises on the investment process, including developing the structure of the investment and the forms of capital raising. He deals with capital restructuring transactions of companies and capital groups. Andrzej represents both domestic and foreign investors, as well as investment and private equity funds, and companies from the TMT sector. He has been repeatedly recognized by The Legal 500 EMEA, Chambers Europe and Best Lawyers. In 2019, he is recommended in the field of corporate, commercial and M&A, private equity and restructuring law. Ewa specializes in advising international clients on employment law with a particular emphasis on the business and financial services, and TMT sectors. She advises on opening shared services centers in Poland. Ewa advises on the process of building the HR strategy, human resources management and human resources policies rationalization, as well as on international transfers of employees. She advises on making global business policies compatible with Polish law. Ewa was a management board member and chief legal officer at Netia S.A., a telecom company listed on Nasdaq and the Warsaw Stock Exchange. Earlier Ewa worked for Shearman & Sterling in New York where she represented investment banks on TMT and energy transactions and worked on US financial regulatory matters. Ewa is recommended by The Legal 500 EMEA 2019 in the field of employment law. She is a member of the program board of the Helsinki Foundation for Human Rights. Krzysztof specializes in dispute resolution, restructuring and insolvency law. His practice is focused on representing clients in court and insolvency proceedings. He has extensive expertise in civil procedure. 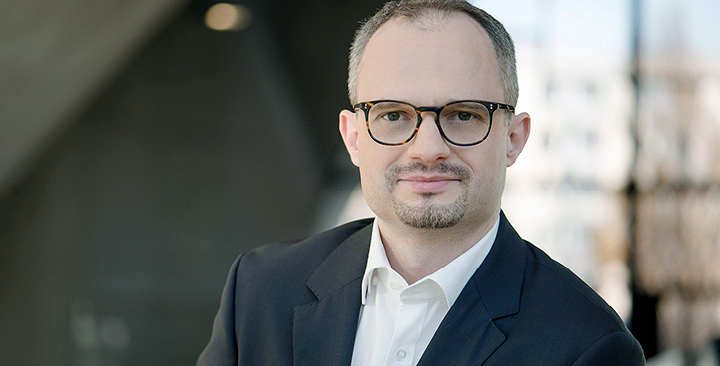 Krzysztof represents bankruptcy trustees of companies operating in the real estate, TMT and healthcare sectors in court proceedings against debtors as well as on matters connected with insolvency proceedings. Krzysztof is an arbitrator at the Court of Arbitration at the Polish Chamber of Commerce in Warsaw. For ten years, he worked as a judge, among others at the Commercial Division of the Voivodeship Court in Poznan. He is recommended by The Legal 500 EMEA 2019 in the field of dispute resolution. Maciej specializes in mergers and acquisitions, and capital markets transactions. He advises on public equity and debt capital transactions, including initial public offerings (IPOs) and secondary public offerings (SPOs). He deals with leveraged buyouts, corporate finance and restructuring transactions, and Polish and English corporate law. 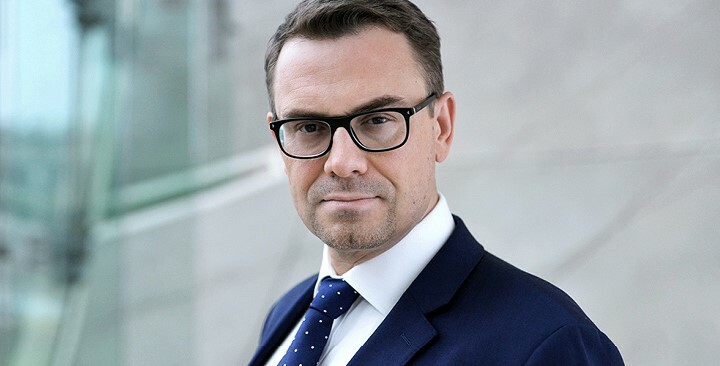 Maciej advises both Polish and international investors, including, among others, private equity and investment funds, companies from the TMT industry, and financial institutions. 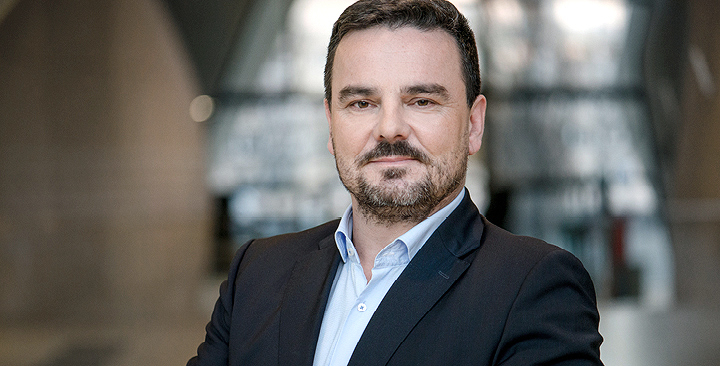 In addition, he advises clients on disputes against public companies or their shareholders, mainly concerning tender offers and delisting from the Warsaw Stock Exchange. He also advises public companies on a day-to-day basis, including on corporate governance, securities law issues and stock exchange requirements. Maciej is ranked by The Legal 500 EMEA, Chambers Europe, and IFLR1000. In 2019 he is recommended in the field of corporate, commercial and M&A, private equity and restructuring law. Szymon advises private equity and investment funds, Polish and international companies as well as private investors on M&A deals, joint ventures and real estate transactions. He advises on financing and refinancing transactions that form part of real-estate investment and development projects. He deals with capital market transactions, including private and public offerings. He advises on company restructurings through mergers, transformations or de-mergers (divisions). Szymon is ranked by The Legal 500 EMEA, Chambers Europe, and IFLR1000. In 2019 he is recommended in the field of corporate, commercial and M&A, and private equity. Marcin specializes in court and administrative proceedings, and insolvency and restructuring law. He develops litigation strategies and represents clients before common courts, including the Supreme Court, voivodship administrative courts, the Supreme Administrative Court, as well as public administration bodies. He also represents clients in alternative dispute resolution (ADR), including mediation and arbitration proceedings. In addition, he represents bankrupts, creditors and bankruptcy trustees in all stages of insolvency and restructuring proceedings. He is recommended by The Legal 500 EMEA 2019 in the field of dispute resolution. He was also named a Rising Star by Dziennik Gazeta Prawna and Wolters Kluwer ranking. Patryk has over 17 years’ experience in real estate law and mergers and acquisitions. He specializes in real estate transactions, financing and refinancing investments, as well as restructuring processes. He handles sale transactions of office, industrial and retail properties, including real estate sale-and-leaseback transactions. He advises international investment funds and private equity firms, Polish and foreign investors, developers and financial institutions. Patryk is recommended by The Legal 500 EMEA 2019 in the field of real estate law. Piotr specializes in competition law, employment, intellectual and industrial property law, with a particular focus on trademark issues. He advises Polish and international clients, including companies from the business services sector. He represents clients in proceedings before civil and commercial courts of all instances. 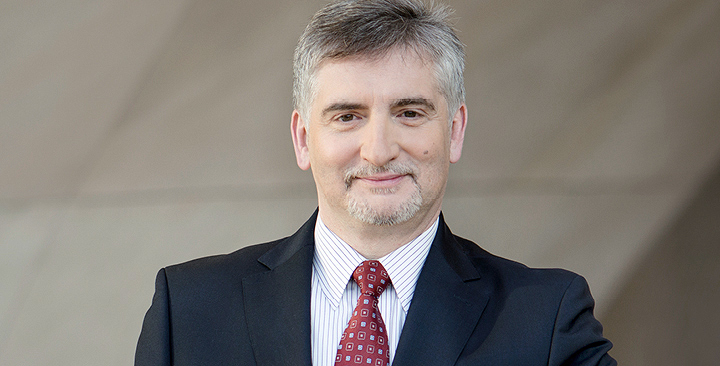 Before joining CDZ, he worked for the Polish Antimonopoly Office (now UOKiK), and acted as a head of the legal department, and board member of CANAL+ Polska (now nc+), the first commercial television station in Poland. 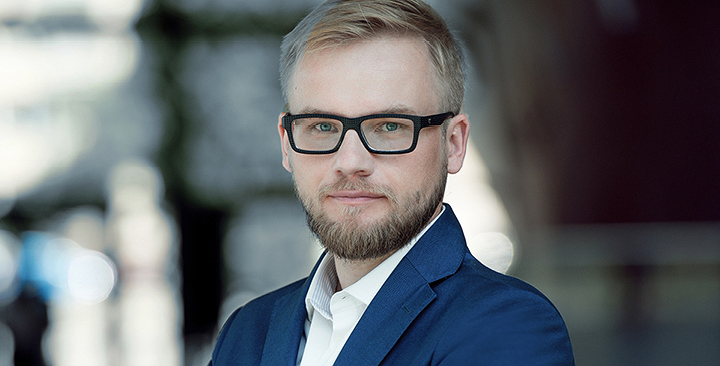 Piotr cooperates with the Helsinki Foundation for Human Rights and the Polish Society of Anti-Discrimination Law, and is actively involved in pro bono activities for a number of foundations and private individuals. Piotr is recommended by Legal 500 EMEA 2019 in the field of employment law. Jolanta has over 20 years’ experience in corporate work, M&A and commercial transactions. She advises on the formation, merger, division, transformation and liquidation of companies. She develops plans and strategies for sale or acquisition, including spin-off transactions. She also deals with the restructuring and structuring of capital groups. Jolanta advises on acquisitions and disposals of shares, general rights and obligations, as well as on cross-border transactions. She advises a range of international companies in connection with their business operations in Poland. 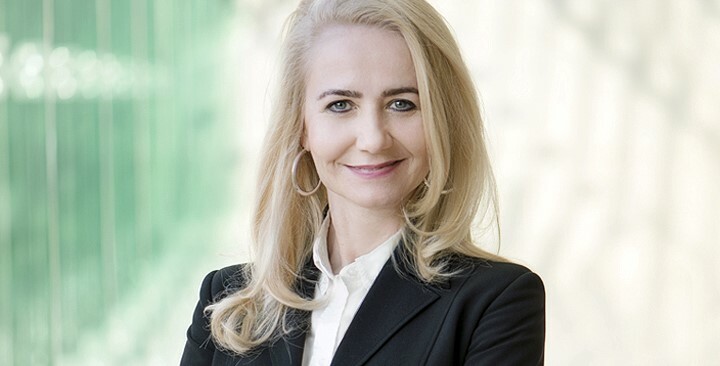 Jolanta is recommended by the Legal 500 EMEA 2019 in the field of corporate and commercial law, and M&A. 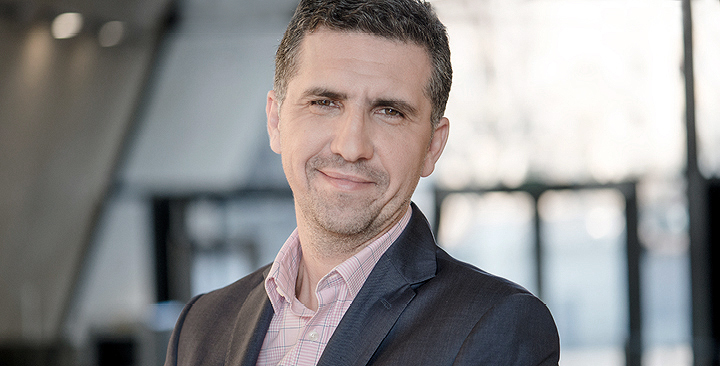 Piotr has over 16 years’ experience in real estate law. He advises on real estate mergers and acquisitions, investment and development, and real estate finance. He advises on planning and development matters, land use, construction law, capital raising and financing project developments. He negotiates agreements for real estate commercial lease, tenancy and sale, and the establishment of limited property rights on properties. He also advises on development contracts and agreements for the establishment of separate ownership of non-residential premises. He represents clients before perpetual law courts and public administration bodies in real estate investment proceedings. Piotr is recommended by the Legal 500 EMEA 2019 in the field of real estate law. Dariusz Zimnicki presented issues related to Labor Code amendments resulting from GDPR, video and email monitoring, remuneration data as personal data and image protection. Are you a startup, a developer or designer? Do you want to swap ideas, share advice or meet your fellow entrepreneurs? If so, don’t miss the Developer Speed Dating event on March 7 at 6:30 pm at the Google Campus. You get one minute for a powerful intro, and two minutes to discuss, and then BANG! Another meeting back to back. Surely, CDZ will be there too if you want to gain legal insights! On 23 November 2018, CDZ and the Wroclaw Agglomeration Development Agency organized a workshop on the most important law developments coming up in 2019. Weronika Papucewicz talked about the most important issues of Employee Capital Schemes (PPKS), the digitalization of employee documentation, employee personal data, the new trade union law, and caps on ZUS contributions. On October 20, 2018, the Catholic University of America hosted the UA Law Reunion Weekend Speaker Series in Washington devoted to “Cross-Border Lawyering in the Digital Age” in recognition of 15th anniversary of CUA’s LL.M. in American Law conducted in cooperation with Jagiellonian University, and 27 years of the International Business and Trade Summer Law Program in Krakow. The Reunion’s program included two panel discussions on cross border legal work and the impact of technology and globalization on the legal profession. European and American panel participants explored the competences and connections that support successful cross-border lawyering. Ewa Don-Siemion, founding partner of CDZ Legal Advisors, talked about legal process outsourcing with an emphasis on Krakow, as a top business services center location Poland. Other panel participants included, among others, Matthew Majkut, Director of the Privacy & Cybersecurity Solutions Group at Paul Hastings LLP; Vincenzo Senatore, founding partner of GSA Law Firm; and Jerzy Pisulinski, Dean of the Jagiellonian University Faculty of Law and Administration. Inspections in your company: how to brace yourself? What to do during an inspection by PIP, ZUS and UODO? and how to prepare your defense (or attack) in a labor court? On 21 September 2018, CDZ and the Wroclaw Agglomeration Development Agency organized a workshop where answers to those questions were presented. Weronika Papucewicz and Ewa Don-Siemion elaborated on how to deal with the State Labor Inspection Office (PIP), Social Security Authority (ZUS) and Personal Data Protection Office (UODO) inspections and spoke about the best practices in defending the company’s interests before the Labor Court. On 28 June 2018, CDZ and the Wroclaw Agglomeration Development Agency organized a labor law business breakfast focusing on GDPR in employment law titled “Life after 25 May. Case studies gathered by CDZ during GDPR implementations”. Ewa Don-Siemion and Weronika Papucewicz presented issues related to GDPR in HR, personal data processing contracts, granting authorizations to employees, employee images and video surveillance in the company. The event was attended mainly by representatives of companies from the business services sector, such as 3M, ACN Europe, Ryanair, Toya, and UTC Aerospace Systems. CDZ is advising the biotechnology company Pharmena S.A. on the process of transferring shares to the Warsaw Stock Exchange from the NewConnect market where it has been listed since 2008. On March 19, 2019, the Polish Financial Supervision Authority approved the company’s prospectus. CDZ prepared the legal part of the prospectus, and in cooperation with the Brokerage House Vestor S.A. represented the client before the Polish Financial Supervision Authority in the proceeding regarding approval of the prospectus. Next, CDZ will advise on the process of listing and admission of Pharmena S.A. to the Warsaw Stock Exchange. The team of CDZ lawyers is headed by Partner Maciej Kotlicki supported by Legal Advisor Piotr Rychta. CDZ has advised sellers on a sale of two packages of apartments in the Pacific Residence housing estate located in Powisle, one of the most prestigious districts in Warsaw. Over 170 residential units have been purchased by foreign investors. Given the number of the purchased apartments, this is one of the largest portfolio deals on record on the secondary market of residential premises in Poland. The team of CDZ lawyers advising on the transaction was led by partners Andrzej Chajec and Piotr Zapalski, supported by Olga Połowianiuk-Keczmerska and Szymon Żyto. CDZ has advised two closed-end investment funds: CP Fundusz Inwestycyjny Zamknięty and Capital Partners Investment I Fundusz Inwestycyjny Zamknięty on a sale of 100% of their shares and bonds in Symbio Polska S.A., a company listed on the NewConnect market, as well as on an investment in an FMCG company. The team of CDZ lawyers was led by Partner Maciej Kotlicki supported by Legal Advisor Piotr Rychta and Advocate Anna Skórka. CDZ has advised IT Kontrakt, a company owned by funds managed by Cornerstone Partners and Oaktree Capital Management, on an acquisition of Solid Brain, a company from the IT outsourcing industry. CDZ’s assignment included carrying out a legal due diligence, developing the transaction structure and preparing the transaction documentation, as well as representing the client before the President of the Office of Competition and Consumer Protection. The team of CDZ lawyers advising on the project was led by Partner Maciej Kotlicki, Partner Piotr Kryczek, supported by Anna Skórka, Advocate. CDZ has advised SaveCart, an e-commerce company, on the process of an equity investment. Investors, including Future Tech FIZ, a closed end investment fund being a subsidiary of mBank S.A., acquired the minority stake in the company. 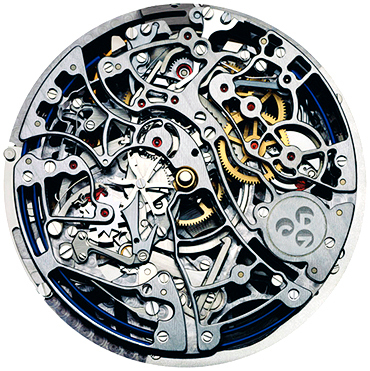 CDZ participated in developing the transaction structure and in drafting and negotiating the transaction documentation. The CDZ team was headed by Partner Andrzej Chajec and Advocate Anna Skórka, both specializing in M&A and private equity deals. SaveCart specializes in real time message personalization in the new technologies and marketing automation segments. Its unique solutions based on big data are designed to raise sales of online shops. SaveCart’s clients include such e-stores as Castorama, Duka, Nationale Nederlanden, Virgin Mobile. In this year’s edition we have risen across the ranks and become promoted to higher tiers in the areas of commercial, corporate and M&A, private equity, real estate, and TMT. Moreover, we are proud to have three standout practices: dispute resolution, employment, and restructuring and insolvency. Andrzej Chajec, Ewa Don-Siemion, Krzysztof Żyto, Maciej Kotlicki, Szymon Skiendzielewski, Marcin Bącal, Patryk Galicki, Piotr Kryczek, Jolanta Okoniecka, Piotr Zapalski and Mariusz Busiło have also been recommended in their respective fields of practice. In this year’s edition CDZ has been ranked in Corporate and M&A, and Employment. Andrzej Chajec, Maciej Kotlicki and Szymon Skiendziewski have also been distinguised in their respective fields of practice. “Clients praise the firm's commercial awareness and also note its "good understanding of business issues." CDZ has been recommended in the field of Banking and Finance, and Capital Markers – Debt. Maciej Kotlicki has been also distinguished in M&A and Szymon Skiendzielewski in M&A and private equity transactions. We have seven standout practices ranked by The Legal 500, including corporate, commercial and M&A, dispute resolution, employment, private equity, real estate, restructuring and insolvency and TMT. Andrzej Chajec, Ewa Don-Siemion, Krzysztof Żyto, Maciej Kotlicki, Szymon Skiendzielewski, Andrzej Abramczuk, Patryk Galicki, Piotr Kryczek, and Jolanta Okoniecka have also been recommended in their respective fields of practice. In this year’s edition CDZ has been ranked in Corporate and M&A, and Employment. Andrzej Chajec, Maciej Kotlicki, Szymon Skiendziewski and Andrzej Abramczuk have also been distinguised in their respective fields of practice. “They are very communicative, proactive, extremely responsive and creative problem solvers with a deep understanding of our business operations." 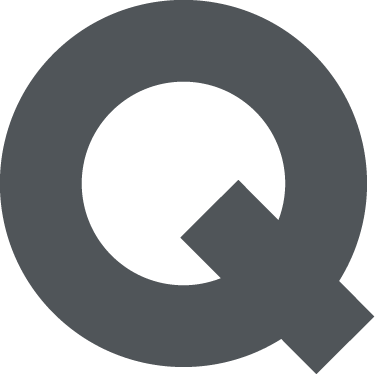 "The team stands out for its practical approach to problems." Have a CHF loan? We can help! CDZ has launched a new educational and information platform dedicated to loans denominated in Swiss francs.The platform explains legal provisions and provides practical aspects related to CHF loans and disputes with banks, as well as practical advice on how to brace oneself for such a dispute, how to win it, what the costs are and why CDZ is the right advisor to choose. In our view, chances of winning a court dispute against banks are increasing. We handle such court cases and are ready to represent you in this respect. We also liaise with economy experts who support us with calculations before a lawsuit is filed. On 1 April 2019, CDZ have moved its head office to Park Avenue, a prestigious building at 70 Wspólna Street in downtown Warsaw. The other registry data, telephone numbers, fax number and email addresses remain unchanged. We’d love to have you come by and have a coffee with us! In this episode Partner Marcin Bącal, Co-Head of the Litigation Practice, clarifies situations in which the Court may hand down a default judgment and presents conditions to be met to enable the court to restore a time limit to take an action in legal proceedings. 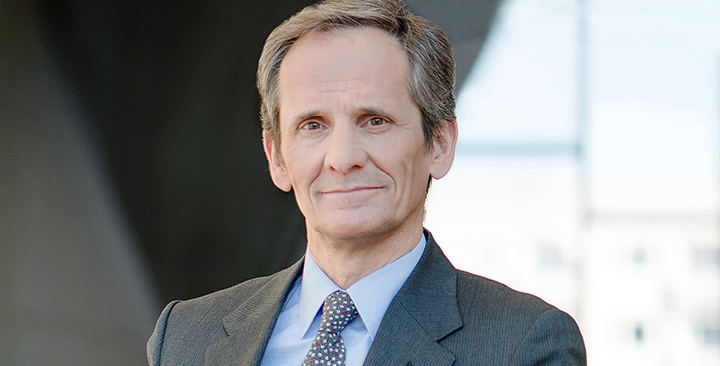 CDZ is proud to announce that Piotr Zapalski has been promoted to Partner. He will be co-heading the real estate and construction practice area. 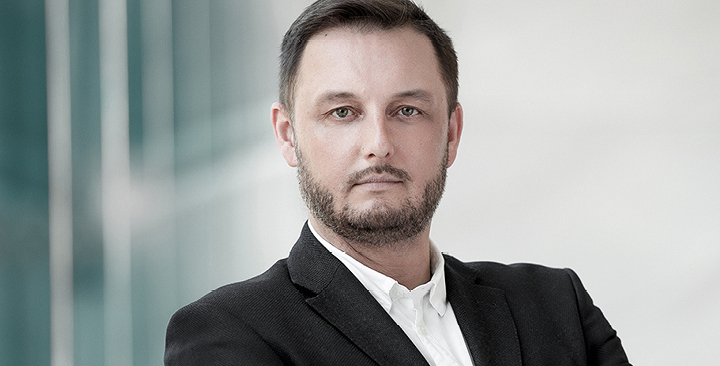 "Piotr's promotion is an expression of appreciation for his long-term cooperation with CDZ, exceptional knowledge, loyalty and consistency in building relationships with our clients, as well as for his contribution to the development of our real estate practice,” said Andrzej Chajec, Managing Partner, CDZ. The promotion is effective as of 1 March 2019. In December 2018 CDZ won a tender for provision of legal services to PGE Systemy S.A., an ITC provider for companies of the PGE S.A. Group. CDZ’s comprehensive advice will cover telecommunications law and legal issues connected with operations of telecommunication businesses, including issues connected with the application of companies and civil law, with a particular focus on obligations and substantive law. PGE Systemy is another PGE Group company for which CDZ has provided services. Previously, CDZ advised PGE Energia Odnawialna. The publication presents the regulatory framework and a broad overview of common issues in labor and employment law in 51 jurisdictions. CDZ contributed to the Poland chapter. Learn more about competition rules in major markets. Competition law can vary quite significantly around the world. But you need to know what’s required, what’s legal and what you need to do and when. The guide has been prepared by INTERLAW members. CDZ contributed to the Poland chapter. The fourth edition of the publication offers an in-depth review of market conditions and insolvency case developments in key countries around the world. CDZ contributed to the Poland chapter. The guide covers common issues in employment and labour laws and regulations in 41 jurisdictions. It also answers the question “Where Next for the Gig Economy”. CDZ contributed to the Poland chapter. The guide provides country Q&A chapters with a broad overview of common issues in telecoms, media and internet laws and regulations in 27 jurisdictions, as well as an overview of the UE’s digital single market proposals. CDZ contributed to the Poland chapter. Starting December 1, 2018 doctors in Poland may issue medical certificates only in electronic format (on an e-ZLA form). Hardcopy certificates may be used in exceptional situations, such as no access to the internet or a home visit. On January 1, 2019 amendments to the Trade Unions Act came into force. They are considered to be most far-reaching since 1991 when the Act was passed. The amendments may result in trade unions starting operations at companies where they have not been active to date. On November 14, 2018 the Constitutional Tribunal struck down a new law abolishing the limit on social security contributions. Consequently, the limit remains the same and the annual base for calculating pension and disability insurance contributions may not be higher than the amount corresponding to 30 times the forecasted average remuneration in Poland for a given year. On January 1, 2019 rules for disbursement of remuneration to employees will change. The changes constitute part of legislation amendment related to employee records and their digitization. The rationale behind the amendment is the recognition that salaries of most employees are paid via money transfers and not in cash. Considering the upcoming amendments and GDPR rules, it is advisable to review internal procedures related to employee records so that the changes taking effect on January 1 can be an opportunity to streamline processes. Borrowers stand higher chances of winning lawsuits. Swiss franc loans commonly include an indexation mechanism permitting banks to convert loan amounts to a different currency and that mechanism is often considered by courts to be abusive and thus unlawful. Entrepreneurs must remember that they need to decide by 31 March 2019 on how long they will pay conversion fees that replace annual perpetual usufruct fees. Defining the scope and nature of shared information is crucial for accurate valuation of a target company. A bidding company must, however, be particularly careful at each stage of the transaction, especially when the deal is between competitors. Can ZUS notify patients about inspections by texting? Notifications about verification of sick leave no longer have to be delivered in writing, as they may be given by telephone or sent via electronic means of communication. A merger or acquisition deal should be well planned and antimonopoly regulations must be complied with. New regulations provide for a general rule that employee files are retained for 10 years. In some cases, however, the 50-year period will apply. The year of signing the employment contract is of key significance. As a fast growing dynamic structure, we always bring new talents on board. If you cherish those three words — and the values they represent — you'll fit right in with our team. We are looking for fourth and fifth year law students who are available five days a week and have a very good command of English. Foreign internships, courses of European, British, and American law, as well as the knowledge of other languages will be an additional asset. We offer monthly paid internships with a possibility to extend. Are you a law student, year four or five, or a graduate? Do you have a proficient or very good command of English? Do you use MS Word, Power Point and Excel programs? Do you have excellent interpersonal skills? Do you want to join us? Email your CV to cv@cdz.com.pl with “Legal Intern” in the subject line. Please insert the following clause: “I consent to having my personal data in my job offer processed by Chajec, Don-Siemion & Żyto Sp. k. with its registered office in Warsaw for the purposes of the process of recruitment to the position of Legal Intern (pursuant to the General Personal Data Regulation and the Personal Data Protection Act of 10 May 2018, Journal of Laws 2018, item 1000)". Deklarowanym celem nowelizacji jest dostosowanie polskich przepisów do dyrektywy Rady (UE) w sprawie przeciwdziałania unikaniu opodatkowania oraz dążenie do uszczelnienia systemu podatku dochodowego od osób prawnych poprzez powiązanie wysokości płaconego podatku (w szczególności przez duże przedsiębiorstwa) z faktycznym miejscem uzyskiwania dochodu. Projekt jest obecnie na etapie uzgodnień oraz konsultacji z organizacjami zrzeszającymi przedsiębiorców. Zakładaną datą wejścia w życie nowych przepisów jest 1 stycznia 2018 roku. A "cookie" is a small text file which is stored on the user's hard drive or mobile device. Cookies perform a number of functions associated with browsing websites and are used for a variety of different purposes, such as tracing users from page to page on an internet site, thereby enhancing a user's browsing experience. They are generated by web servers when the user enters an internet page, and are passed to the user's computer or mobile device and stored for subsequent future access. The cookies used are session cookies only and do not collect any personally identifying information. Generic Google Analytics cookies: these cookies are used by Google Analytics, which monitors traffic levels, search queries and visits to our website. Neither CDZ nor Google associate your IP address with any information that can identify the user personally.